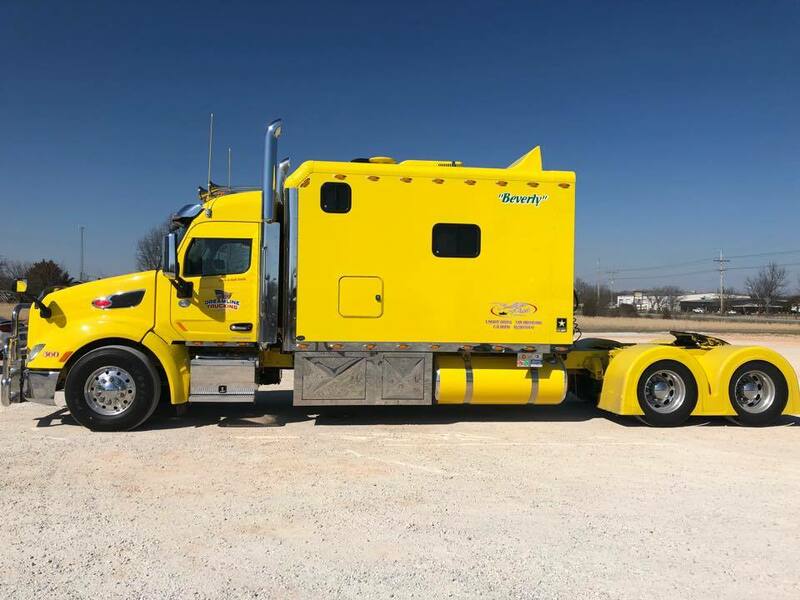 Nov 2018 - Keith and I want to thank you and your whole production and assembly crew for the beautiful job ya'll did on our sleeper. O ur cabinets are beautiful beyond words. If this sleeper is as good as our first, you may never see us again...lol. We just didn't want to miss the opportunity to express our thanks. May God bless all of your lives richly. July 2018 - I had a great experience with everyone that I dealt with; especially Toby (in sales). 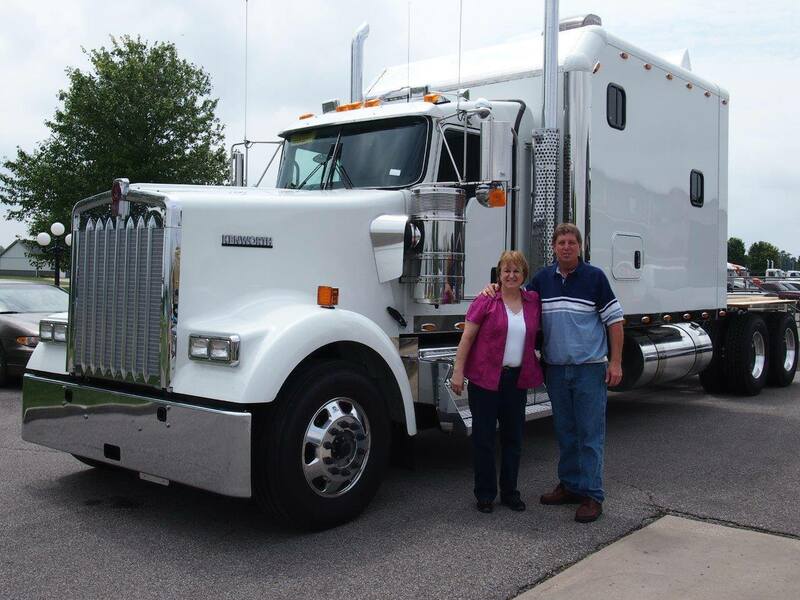 He was excellent to deal with and very helpful throughout the sleeper build process. I couldn’t be happier having chosen ARI for my purchase! Thank you to everyone. May 2018 - I love the product, the people, and they have the best customer service hands down. December 2017 - Five star service and a five star product by five star people. We love our ARI sleeper and all of the people there too. Very rarely have I come across or done business with a company so centered around customer satisfaction. As far as I am concerned, there is only one custom sleeper company. That company is ARI. 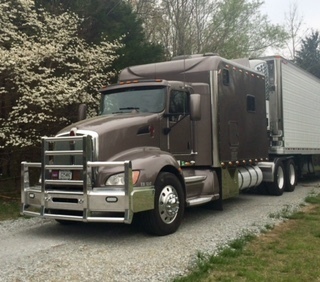 October 2017 - I bought this Freightliner Coronado with a 132" ARI new in Jan ‘09. 1,000,000 miles on the odometer and this truck still runs like new. The ARI sleeper has made all the difference in our business! It has paid for itself time and again. I can't be more appreciative of the quality of the sleeper. Everything in the sleeper is still original and still in good condition. Thanks ARI! 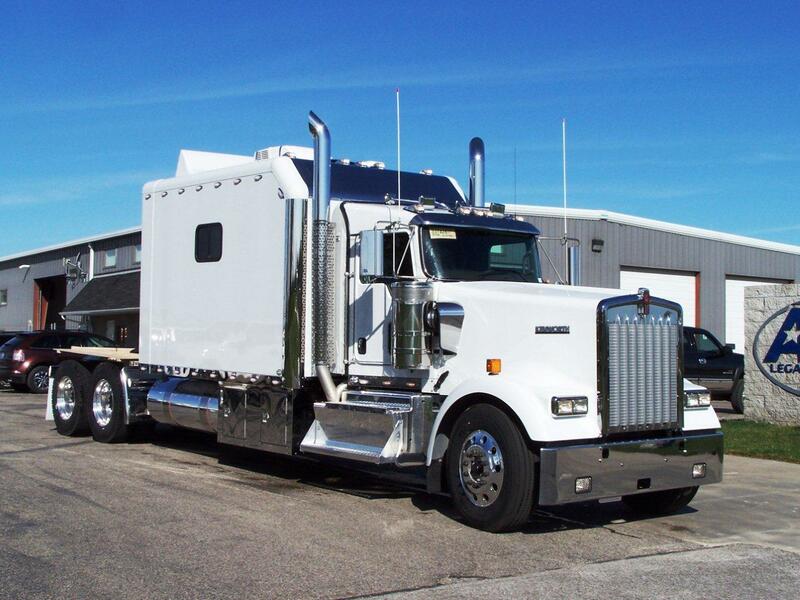 May 2017 - From a repeat customer - "We have sold our 2008 Kenworth with the 132" ARI Sleeper. Thanks for the posting the ad and for the continued support. I know that ARI's reputation and customer service helped sell our truck. This ended up being the best 'return' on any truck we've ever had." September 2016 - We are enjoying life again. The first 5 years of our trucking career we called ourselves "Professional Tourists." Then the next 20 years it became a grind of a job. All work and no play. Getting our new sleeper took us back to our earlier days. I LOVE the ability to go to the campgrounds. So we aren't stuck at the truck stop, with our main entertainment of going in to eat. We can ride our bike and swim at the campground pool. My husband loves to cook and now we have dinner parties in ours. Or how about the fact that I can sleep next to my husband. Not feet to head like we had to for so many years. It is unbelievable the difference having this much space has made in our lives. Thank you ARI! August 2016 - I was in a major accident recently and was asleep in the bunk when the accident occurred. My truck was destroyed, but the sleeper held up amazingly well. I wanted to personally thank everyone at ARI for your quality construction and craftsmanship. My ARI protected me and saved my life! April 2016 - We have owned 4 ARI sleepers. Everyone there from John in sales to Mel and all the guys in service are great. They really are like family. We would not own any other sleeper, but an ARI. They are the best. March 2016 - We’ve had the new truck a month now and are happier with it every day. Everything about it turned out exactly as we planned. It was and is an incredible experience! Thank you to everyone at ARI! September 2015 - Have I told you lately how much we love our sleeper? August 2014 - A big thanks to the boys in the shop, again did a great job, with great attitude. Some of us don't give out the big pat on the back to the guys in the trenches, cudos usually go up the ladder, right John? The side door did seal up, all lights work, and Ziggy's happy! IT'S ALL GREAT, see ya'll not so soon, unless I'm stopping by to say hi. Best regards! December 2013 - We LOVE our ARI Sleeper! They were able to take our vision and turn it into reality. It's truly life changing. One day you're packing your bag to go take a shower inside a truck stop where there's no telling how long you'll have to wait in line...and once you finally get inside the bathroom..the shower head is all clogged up spraying every different direction except on you, the water pressure stinks, the water flashing from hot to cold, and carrying multiple toothbrushes just incase yours falls on the toxic floor...But once you get your sleeper with YOUR OWN shower, toilet, sink, and kitchen...those days are over. Or the days of going to a delivery and then having to drive to a truck stop and crossing your fingers you'll find a spot because you have no way of using the bathroom and no food...gone. 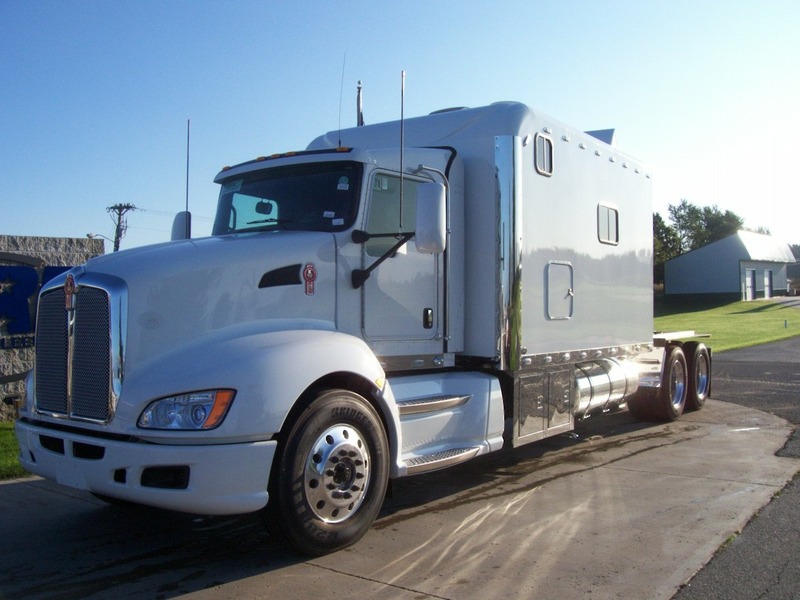 I hope my husband and I are fortunate enough to own an ARI sleeper for the rest of our trucking life because I couldn't imagine going back to the way it was before. Buying our truck is the best decision we've ever made! And the customer service doesn't stop once they get your money and you drive off...ARI has THE BEST Service Department...period. I think they are the only shop in America I can say we look forward to going to..not only because they do excellent work, but also getting a chance to catch up with the people who work there that have gone from a business relationship..to a friendship. ARI is the total package...what more could you ask for? April 2013 - Doing double duty! Kicking back in an RV park in Corpus Christi while my trailer is down in Mexico for a couple of weeks at an air show. Margaritas & the beach! This sleeper is everything a guy could ask for. I know it's what everyone says, but I wish I'd bought it years ago. October 2012 - Just wanted to drop you a note on how were enjoying our new sleeper. The window curtains for the cab are fabulous! You need to offer that as an option. We can’t believe how well insulated this sleeper is. We don’t need heat even when it is near freezing. We still have a lot to learn about everything in here, but as we learn, we are amazed at how well thought out everything is. Thank you, we’ll keep in touch. October 2012 - I wanted to say Thank You to everyone at ARI for all the hospitality when I flew in to pickup the new truck. I never knew quite how well Built these sleepers were until I had a little time to ride in one, Amazing! Soon as I get the truck finished at Peterbilt I'll get a picture in front of the dealership and e-mail it to you. Again, thanks so much for such a Quality product that should last a long time! July 2011 - Just want to drop you and everyone at ARI a big "Thank You"! As you may already know, August 23rd is my one year anniversary in this truck. (Wow! how time flies) I thoroughly enjoy it and am so appreciative of all of you, especially Kelley for taking all of my "What do I do now?" calls! Thank you all! March 2011 - In January, we passed the two year mark of owning our sleeper. I wanted to send you guys an email to let you know where we're at and how we feel about it at this point. First, I must say that our experience with ARI has been outstanding. Jen and Kelly are always available to us, for questions or concerns, be it through email or over the phone. They have never given the impression that they're too busy to deal with us (even though we know sometimes they are) and have always listened to us and made us feel important. Mel and all of the guys in the shop are top notch and can fabricate anything on a whim. I asked them to install custom wiring on my trailer, to re-route the generator exhaust to the back of the tractor, to make custom stainless steel brackets for the airlines on the sleeper and to put in a plumbing system so we can use the truck at RV parks; all of these requests were honored and everything went great! My ARI sleeper has stood the test of harsh weather, ranging from 120 degree heat in the Arizona desert to 30 degree below cold in northern Michigan, keeping us comfortable in both places. And, the truck has increased in resale value as opposed to its non-ARI-sleeper-based cousins. In our old truck (the one without the ARI sleeper), our team operation enjoyed frequent meals at nice restaurants, frequent stays at upscale hotel chains, and while waiting in docks, a continuously running truck engine to keep us comfortable while waiting to be loaded or unloaded. Two years later, we still do all of that, but our costs have been cut by more than a half. We no longer need to stay at upscale hotels as often, because the sleeper is just THAT NICE. We don't eat out as often because the ARI sleeper is set up so that we can make meals in the truck kitchen that far surpass restaurant meals, not to mention being less expensive and more delicious. When we are waiting at a dock or in a customer's yard, our engine is instantly shut off and the generator, which has almost 8,000 hours on it after two years (it's practically bulletproof), runs our kitchen, s The sleeper is built to superior standards and has performed day in and day out without a hitch. We have never lost a day of work due to the ARI sleeper or any of its systems failing. The generator, which runs everything in the truck, is easy to service yourself if you don't want to pay someone to do it for you; I have been able to change the oil filter, air filter, and fuel filter in less than 10 minutes once every couple of weeks. Some of our amenities we enjoy in our sleeper are our in-motion satellite TV, which tracks the satellite as we're driving down the road; our wi-fi router, so we are always connected to the internet; a digital video-recording system with cameras that allow us to see all four sides of the truck-this comes in handy when hauling oversized loads, when the truck is parked for long periods of time when we're away, or when an incident occurs in the general vicinity of the truck. A common concern I hear from interested drivers is that you can't make it into tight places because of the wheelbase. This is completely false. We have been to NYC and even downtown San Francisco with this truck, pulling a 48-foot spread-axle trailer that has a rear dump axle and have had no problems, Our truck has a tighter turning radius than our old truck, even with the added 100 inches wheelbase. The other concern I hear is that you can't haul the same load weight as a standard truck and 48-foot flatbed combination. We went from a steel and aluminum combination trailer with our old truck to an aluminum trailer with our new truck and ARI sleeper. We are using all Super Single wheels (which have only lightened us up about 365 pounds, over having previously had all aluminum duals), which are saving us between .5 to .8 mpg and have actually increased the size of our payload from 45,000 to 46,000 pounds. 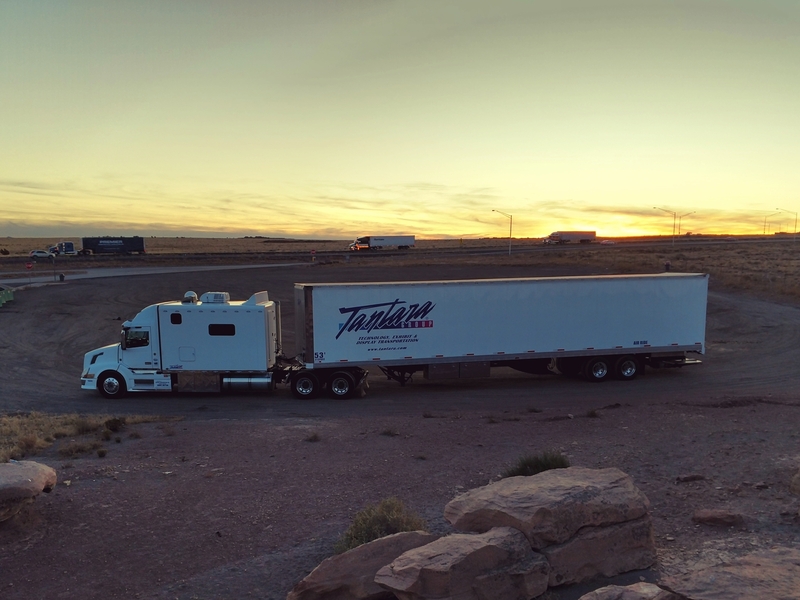 We rarely haul more than 40,000 anyway, but it is nice to be able to get out of difficult freight areas because the payload is not restricted as most assume it would be. The other concern that people have is that they'll get worse fuel mileage because of the large sleeper. I have not seen this either. 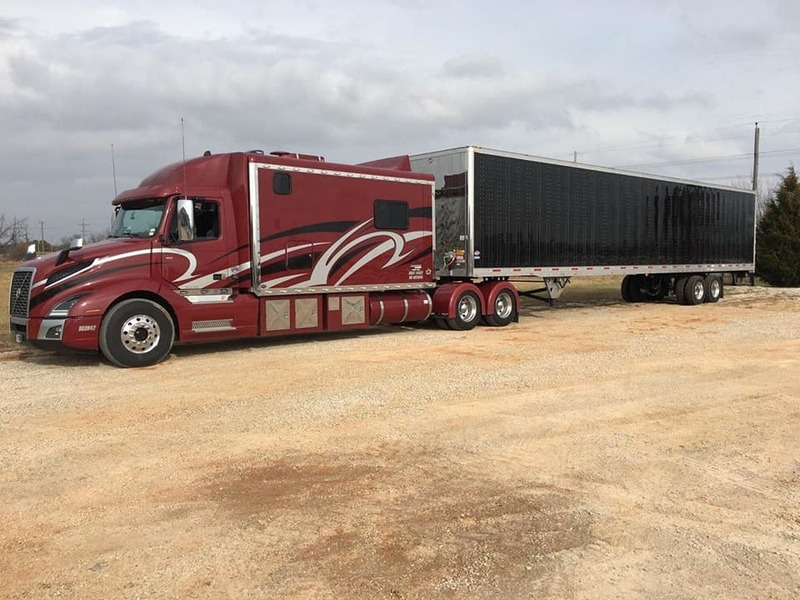 My Coronado is getting mid 6's to mid 7's which is very close to, if not exactly like, the Freightliner FLD I had before, which had a 48' sleeper. Today's trucks are suffering in fuel economy due to regulations restricting exhaust gasses, not because of the addition of large sleepers; and from what I understand, the fuel economy is only going to get better as the engine manufacturers adapt to cleaner policies that are being put in place. 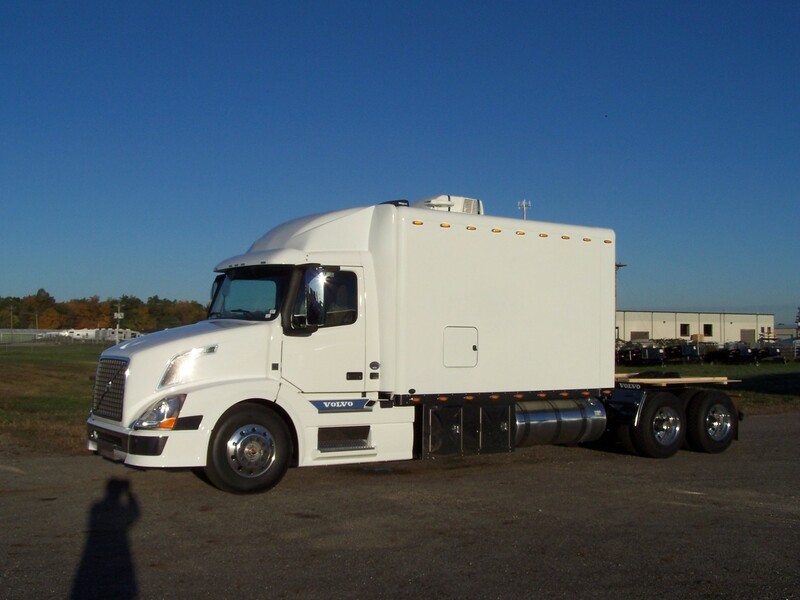 I also know people with Freightliner Cascadias that have ARI sleepers larger than ours, who are getting mid 7's to mid 8's on their fuel mileage, so the aerodynamics of the truck's cab are more of a factor that the addition of the sleeper. These same people could add numerous new aftermarket products which save fuel mileage, potentially enabling them to reach mid 9's with their sleeper. Our business has succeeded in these tough times due to the fact that the sleeper saves us so much money. 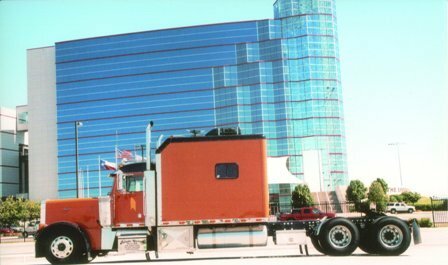 After driving as a team over the road across all 48 states for 5 years now (the last two being in the ARI sleeper) we were used to delivering a load after driving 72 straight hours then taking a couple of days off in a hotel, renting a car, and eating out before a backhaul to the house. Now, we are relaxed, relieved of stress, showered, well fed, and entertained while on the road under a 72 hour straight driving assignment without the hotel, restaurant and rental car expenses or emergency bathroom breaks. Don't get me wrong, we still eat out, rent cars, and stay in hotels, but with this sleeper, it's not necessary, it's done out of choice. We have everything that one needs while away from home and I can tell you from my personal experience, that there is nothing like taking a relaxing shower after spending three hours chaining, strapping, and tarping a flatbed load. After that, I can eat a nice meal and watch my favorite TV show while my partner drives. This is how all teams should operate. 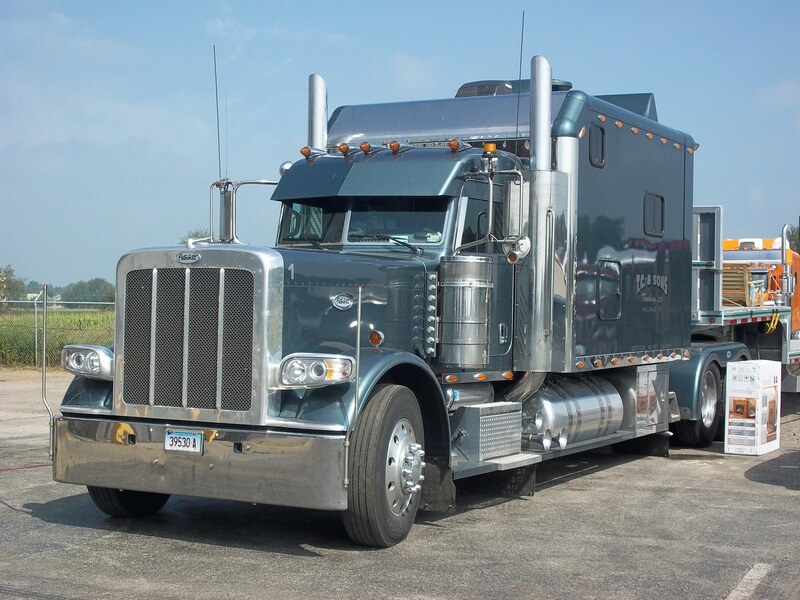 I can't imagine going back to the standard cookie cutter large trucking company template 48, 60, 70 or 82 inch sleeper. I wouldn't like it as a team, we would lose money by switching back to a factory sleeper that barely meets any of our needs. I honestly feel that if all teams had an ARI sleeper, they would be better rested, less stressed, and safer than they already are on our highways. It really has been a game changer and we are still thrilled to be very proud owners. Thank you, ARI! You have changed our life on the road for the better! January 2011 - My wife and I would like to express at this time the graditude we both have for everyone at ARI. Everyone there will do anything in their power to make things better for you. You can always be sure you will be treated with the respect you deserve. From both of us, thank you everyone at ARI. July 2010 - We love our ARI Sleeper...plan to build another in the future...bigger!!! January 2010 - Just finished our 1st year living in our ARI Custom Sleeper. We saved $18,000 in fuel costs, $12,000 in food costs, $14,000 in hotel costs and we expect to save at least $5,000 on our tax bill! November 2009 - We can't thank everyone enough for all the help and service we received in building our new sleeper. The quality and workmanship in your sleepers is above and beyond. We have had comments on the quality of the finished product. Also I want to comment on the staff, each and everyone we dealt with was pleasent and professional. Thank you so much for making this a wonderful experience on our second sleeper. June 2009 - Thanks for your help customizing my sleeper. It is great! The big fridge is especially nice. I like the table for many reasons, but still have not figured out how to secure the jigsaw puzzles, particularly at night. Please thank the crew for me. November 2008 - I just felt I needed to take the time to write this little Thank you to you and your staff. Roger and I have owned our 150"custom built sleeper for 6 years and it still looks and performs as good as it has from the first day that we picked it up from ARI. We work for United Van Lines and spend at least 9 month of the year in our Truck and it has not only saved us money and hassle but has eased our burdens of so many other things. The Craftsmanship of ARI is beyond anything that we could imagine. We haven't had any maintenance on the sleeper in 6 years and even have all the original appliances down to the coffeepot. They can't be beat! Thank you ARI...Job well done! I wanted to let you guys know how delighted I am about my Legacy Sleeper. With out discounting all of the cosmetic and creature comforts your sleeper affords me it also has another redeeming quality. That quality would be the health benefits of making exercise and eating healthier achievable by way of practicality. 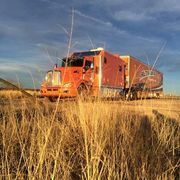 Most of us out here on the road often think about being healthier but are bound to eating and getting clean in the truck stops. We have perhaps one of the most unhealthy jobs on the planet. Since I have had my sleeper my cholesterol has dropped from 220 down to 198 and my weight has dropped from 240 down to 205. I attribute this directly to be able to shower at will after a work out on my bike and being able to eat good food and save money while doing so. I would consider this aspect of your product to be worthy of mention. After using our ARI sleeper for over a year, we continue to be impressed with ARI's product quality and service. We shopped around. 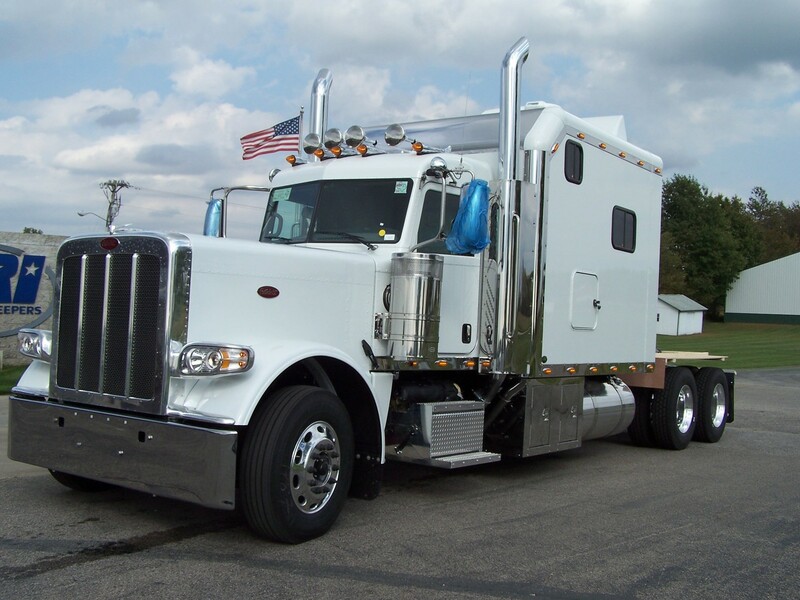 ARI got our business because they made it easy to think through all the options and spec the sleeper we wanted. The price was right too. This sleeper was built to last. We are confident it will serve us well for ten years or more. "I could never think of going back to a regular truck now." "The time you save by having your own shower is tremendous. 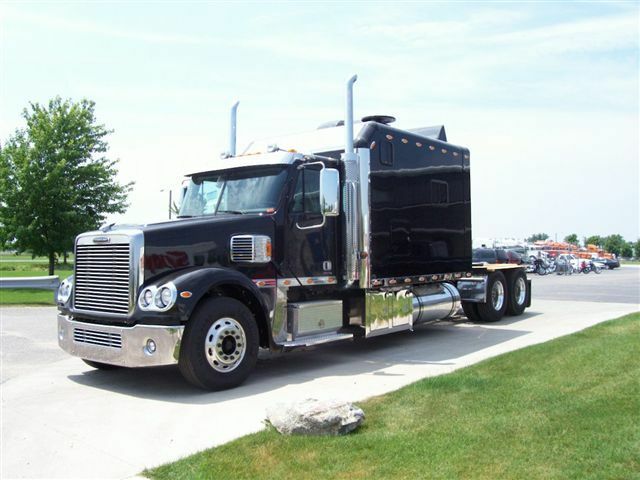 You can get more sleep and extra miles comfortably." "We save $1200 a month just in food by using our sleeper." "I tell everyone I meet to buy an ARI Sleeper. They are the quietest going down the road and they have the best service department!" To ARI's Service Department: We really appreciate all the fine work you did on our warranty issues and the added items that we had done on our sleeper. It is nice to know that after you purchase one, you still strive to make sure your customer's are happy. Your Service Department is a top-notch operation. "The sleeper is great, I have had no problems with it. I am looking forward to doing business with ARI again. I will defiantly tell my friends about ARI." "Having the ARI sleeper really has improved our quality of life on the road. We make more money because we can stay out on the road longer. 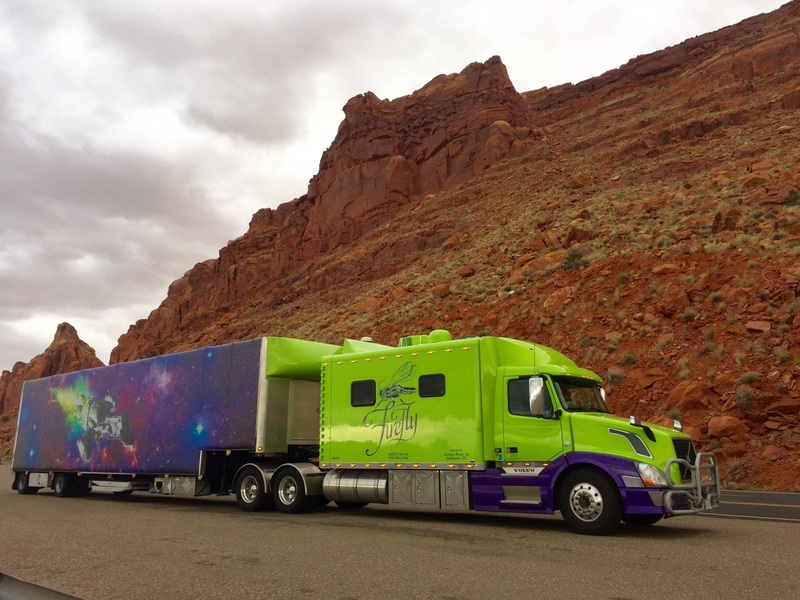 It is our home on the road." We save between $800 and $1200 per month on food alone. We can not walk out of a truck stop with out spending $30 for the two of us to eat. I saved over $3,000 last year in fuel costs because of my generator and not needing to idle the truck. Saving time and hassle with having a shower in the sleeper is the best. "With not eating in the truck stops we save at least $20 per day on food." "My wife and I were out west a month ago and ran into a nasty ice storm. So we pulled off into a truck stop, turned off the truck and fired up the generator. We had our showers and dinner and waited the storm out. After a couple hours the ice caused power outages everywhere, including the truck stop. But that did not bother us, we were self contained with our ARI sleeper. Convenience is the biggest thing to me. Convenience is saved money. We save a lot of money every month on coffee alone. Only regret is that we should have done it sooner." April 2005 - We just wanted to say thanks for all your support for showing the sleeper at the shows. You make the best sleeper on the market and you should be proud of it! Thanks again! Still loving our beautiful sleeper. 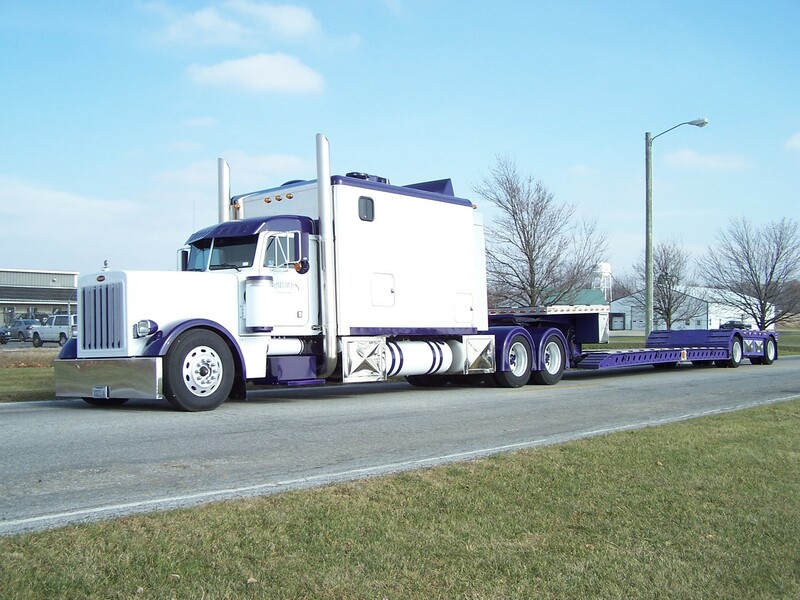 This is about the "Home on the Road" article that was written in the April 2004 issue of Big Rig Owner Magazine. I just wanted to let you know that there is another Sleeper House in Shipshewana, Indiana. It is called ARI. This is where I purchased my Sleeper. For the money it is the BEST ONE IN TOWN. I was just wondering why you didn't mention them in this article???? Richard Stewart wrote the article he might want to give ARI a chance to show off what they have. Their phone number is 260-768-4704. They are #1 in my book. We would like to thank each and every one of you for building us such a wonderful "New Home"! 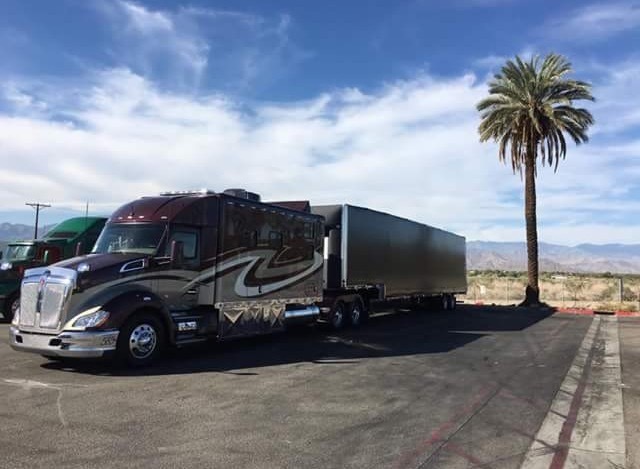 We absolutely love it and it sure makes life on the road easier to deal with. Believe us everyone we come into contact with will know about ARI and the great service you provide! Thanks again for everything. I would just like to thank you for making a dream come true. We have talked about having a truck like this, but never imagined that it would be so great. The personalities of everyone were great. It seemed like you went out of your way to make this a great experience. We have had so many compliments on our sleeper. It is almost like I'm a tour guide. The quality is amazing! We definitely will recommend your company. Thanks for everything. We will send an 8x10 picture of our truck soon. We also entered in a truck show and won two trophies. "Best Interior" and "Best of Show"! Thanks for the great job you did. March 25, 2005 - We would just like to thank the whole team at ARI for the great care and kindness you have given us. The folks at ARI are pioneers and innovators, creating state of the art sleepers that leave your competitors in the dust. Keep up the great work and we look forward to purchasing our next sleeper made by the great folks at ARI.